Audiomatica is a company active in the professional and consumer audio, acoustics and computer fields. Audiomatica's main activity is the design and manufacturing of electronic equipment; beside this, we find a rapidly growing activity as consultant and service provider to private and industries. 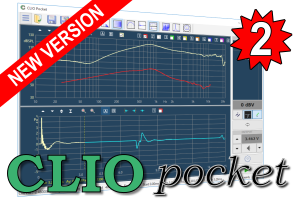 A new software release of CLIO Pocket is out. Distortion measurements are now available under the LogChirp measurement menu. For software upgrade from version 1 to version 2 please contact info@audiomatica.com. Furthermore, the Clio Pocket Manual has been updated. Check the manual to learn about the new features. Our team and friends to the AES Convention 2017. Thank you for coming to our booth! 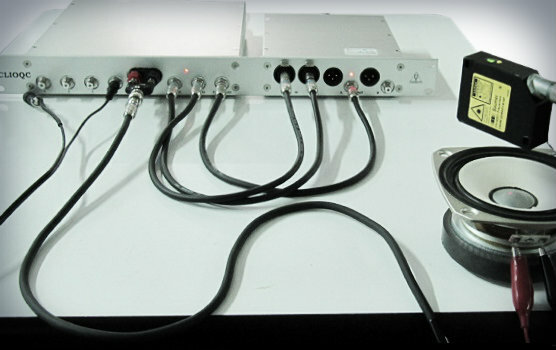 In Audiomatica we do our best to keep up with the modern PC technologies. We thoroughly test our products on the most recent and advanced hardware and software platforms. We are happy to announce that our CLIO pocket system is up to date and runs on the new macOS High Sierra.